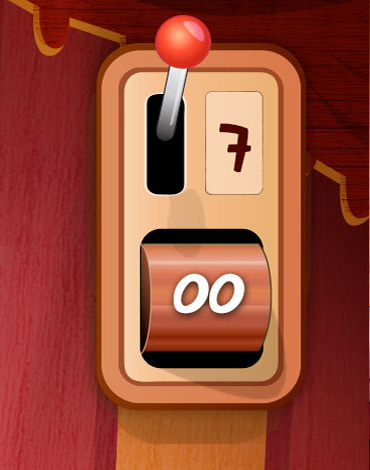 Fully animated and addictive brain-training puzzle game with 100 mind-blowing levels to conquer. 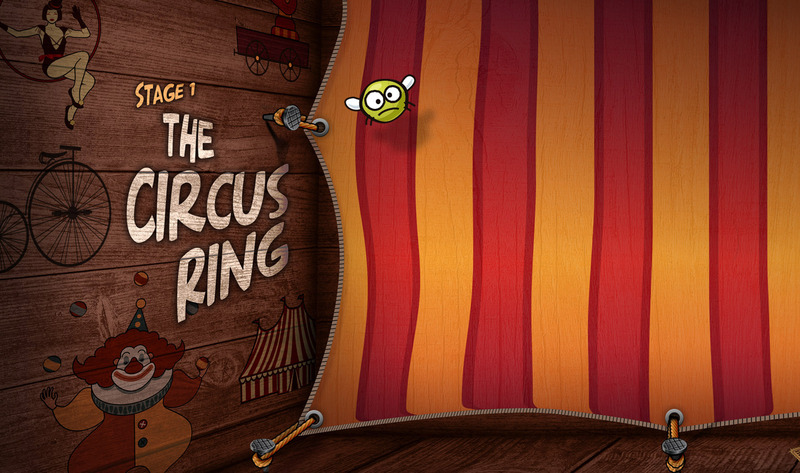 Our hero 'Chuck The Chicken' is back and he has been captured by the circus's evil monkey ring master and must perform his way through each of the levels to win his girlfriend back and escape once again. Use a host of awesome new tools and animated circus characters in your effort to solve the levels and save Chuck and his girlfriend! 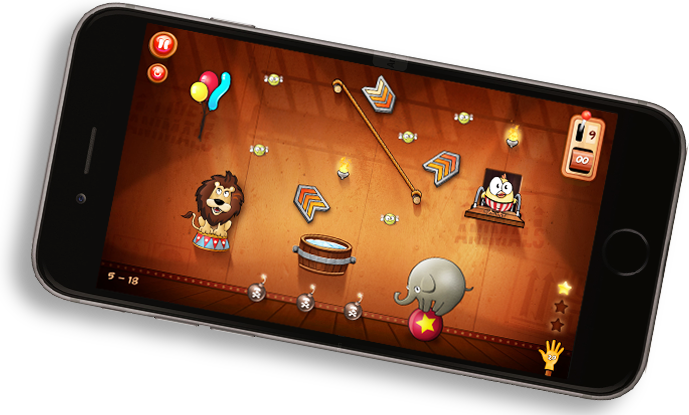 DTC2 is a fun puzzle game for all ages and it's fully universal which means that the same version works on all devices. 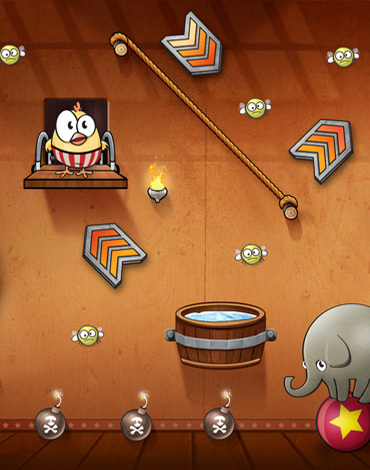 Our hero 'Chuck The Chicken' finds himself back at the Circus and must perform his way through each of the levels to win his girlfriend back. It's not going to be easy. There is no time limit, just awesome puzzles and hours of entertainment! Once you finish all the stages and levels (including the new stages coming soon) you'll receive a code, then simply return to this page and you'll be able to enter your code and details below and download your certificate. *Yes, Please send me updates on 'Drop the Chicken'. Once you have finished the game (including new stages coming soon in an update) you will be given a unique code that you can bring back here to claim your certificate. Certificates are personalised with your name and score and can be printed off straight away on your own printer. You will need acrobat reader to open the PDF file, or similar program that open PDF’s like ‘Preview’ on Macs. You can download acrobat reader for free from www.adobe.com. You will need a printer to print off the certificate. The certificates are set up at A4 paper size so if you use letter or another format shrink the certificate to fit in your printing options. • We take privacy seriously. We do not onsell email addresses to any 3rd parties and you can opt out of communcations from Sharp Agency at any time. We request your email so we can send you a copy of your certificate. You also have the opportunity to join our mailing list. Click on the download link and the PDF certificate file will either open up or download to your computer. The file name is certificate.pdf, so do a search for this file if you can’t find where you saved it to. You will need acrobat reader to open the PDF file, or similar program that open PDF's like 'Preview' on Macs. You can download acrobat reader for free from www.adobe.com. You will need a printer to print off the certificate. The certificates are set up at A4 paper size so if you use letter or another format shrink the certificate to fit in your printing options. Q: My Chicken is stuck in a loop, what do I do? A: Sometimes you can out do yourself and get the chicken caught in a loop. This can be fun to watch but if you want to get on with the game and try again simply hit the drop switch again, this will get your chicken back to the trap door and give you a chance to try something else. Q: Why can't I get to the next stage, I have finished all the levels in my current stage. You may not have collected enough bugs to unlock the next stage. Go back to the level select screen and have a look for levels with less than 3 stars. Give these another try and try to collect more of the bugs than last time. Once you have collected enough bugs the next stage will release. If you find that your solution isn't working, click the drop switch again during his drop or while Chuck is mid-flight before he hits the mini dive pool and it will take him back to the top. This way you can work at getting all 3 bugs without having to jump back and forward. Once you hit the pool the level finishes and you get scored on your solution, time taken and the amount of drops used so use this trick to speed up game play and have a better time score if things arn't going as planned. Q: Can I control the music and sound effects? Yes you can, there are 2 sliders under options that lets you change audio options. Handy if you are playing on the train or late hours of the night. Q: There is one level I just can't figure out and it is driving me nuts, what can I do? Some of the levels are pretty tricky. Try using some of the objects more than once, for example some of the trickiest levels use the port holes multiple times backwards and forwards to get all the bugs. If you get really stuck you can you use the "helper hands" located on the bottom right corner. These let you select an object you're having trouble with and position it in the right place for you. Q: My kids won't stop playing the game, I am worried they may never stop playing, what can I do? 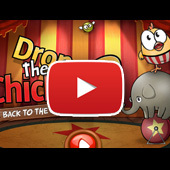 Drop the Chicken 2 is an awesome game, you need to find something more awesome than the game to lure them away from the game. This can be difficult as the game is so awesome. Q: Is the game good for the brain? Drop the Chicken 2 was designed with human psychology in mind, it helps keep the brain active by improving your ability to picture multiple steps in your head and then activate these steps. Most people can only visualize 6-7 steps ahead. Similar to chess Drop the Chicken is a game of strategy and thinking ahead. It is also a lot of fun. Q: When will the next Drop The Chicken 2 update come for iOS / other platform? A: News like this is announced at Drop The Chicken's web pages or in a newsletter. In most cases we will not publish any release dates for the updates before they are ready and available. This is to make sure we can finalize the updates without external time pressure to ensure they are 100% perfect before each release. That said we are committed to releasing regular updates and new levels every 1-2 months. Q: Are chicken sandwiches good for your health? Not if your the chicken..
Q: Will Drop The Chicken be done for Android / Windows phones or any other platform that is not yet supported? It is our goal to get Drop The Chicken to all relevant devices out there. For now it seems that there will not be an S60 version of Drop The Chicken and we are still considering whether the game should be done for Android , Windows and Bada. They are not supported now, might be later. Q: I have a problem with the Drop The Chicken 2. What should I do? 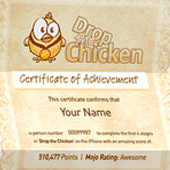 If you cannot find solutions for your problem or questions, please contact Drop The Chicken's customer support by email and provide as much information about your problem as possible: phone/device model and/or version, phone/device operating system version, Drop The Chicken's game's name and its version, a detailed problem description and we will get back to you as quickly as possible. 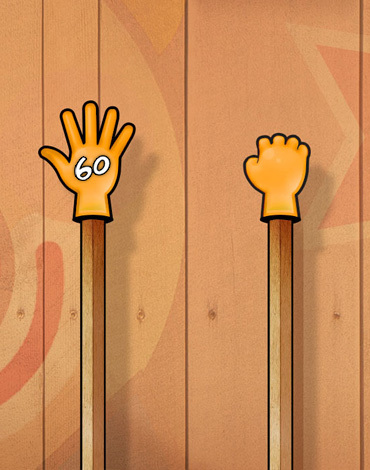 One of the most challenging and hilarious puzzle games on the App Store. There is no time limit, just awesome puzzles and weeks of entertainment! The object of the game is to drag the acrobatic tools into position to catapault Chuck to the dive pool while catching all the bugs along the way. If you get really stuck you can you use the "helper hands" located on the bottom right corner. 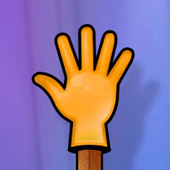 These let you select an object you're having trouble with and the hand will position it in the right place for you. Make sure you save some for the trickier levels. 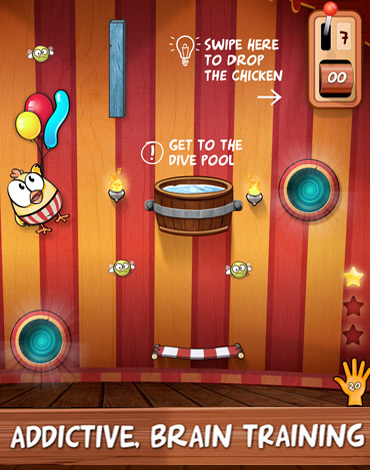 The object of the game is to drag the tools into position and then Drop the Chicken. Try to set them up in a certain way so that the chicken collects all the bugs and then makes his way to the pool. 1. Drag the tools in place. 2. Swipe the switch to Drop the Chicken. 3. Collect all the bugs. 4. Finish the level by getting to the pool. Some levels include the freeze object which require you to re-position objects again in order for Chuck to land safely in the pool. Tip: Before you re-position an object remember where you grabbed it from last, just in case you're unsuccesful. On the drop switch at the very bottom is the number of drops you have used so far and on the top is the Drop Target to aim for (this is sort of like the PAR on a golf couse). Tip: Click the switch again during mid-flight to reset the level. 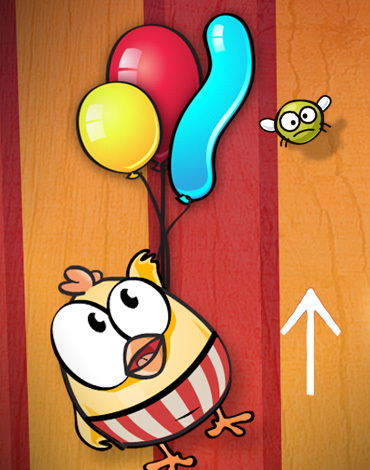 Use the balloons to get up high and grab tricky to reach bugs. Simply fly our hero over the string part of the balloon and he will grab on. You have about 3 seconds before all the balloons pop. While on a balloon, Chuck floats above everything and doesn't interact with any other object. 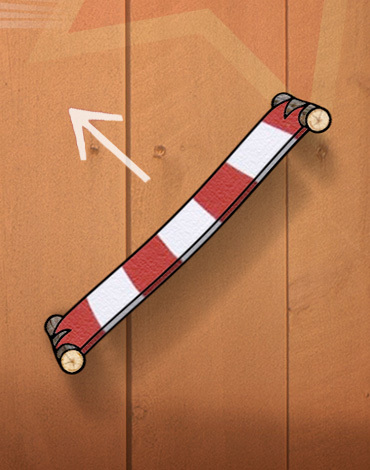 These are the most useful tools, they let you bounce our hero around the screen to get left to right and up high to get the bugs. The higher you drop before you hit them the further you go, so positioning them can be tricky. Stay up to date with the website for sneak peaks as we get closer to upgrade releases. Who is our hero Chuck the Chicken? Chuck was bitten by a snake. After five days of horrible pain...the snake died. Chuck also has a bear skin rug in his circus caravan. He didn't kill it, it's just too scared to move! 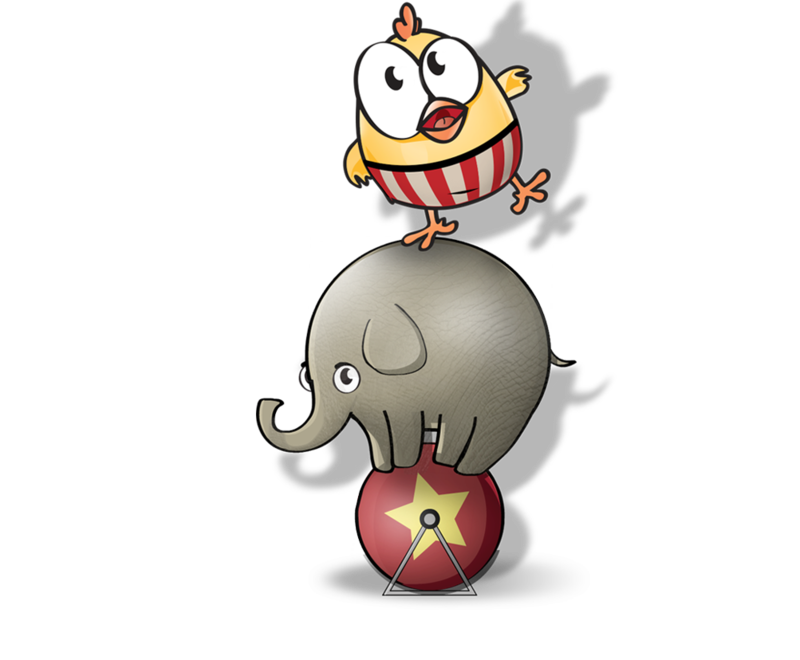 Drop the Chicken 2 is a major production and we endeavor to release new levels and stages regularly to ensure 'Drop The Chicken' is the best value for money game on the App Store. This is just the beginning. We have stacks more levels and game tools in production. The new stages will include a range of new tools which will add a whole new dimension to the game. 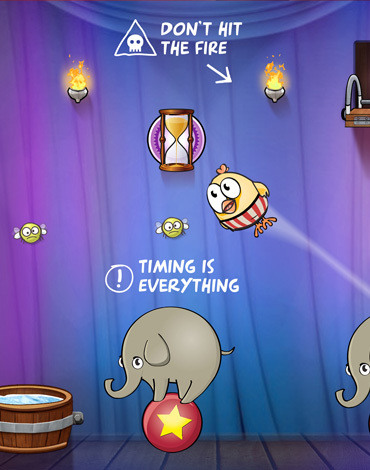 As the successful predecessor, Drop the Chicken 2 (AppStore) once again has fun and challenging gameplay, large scale production and a sweet points system...a must download! This is really an enjoyable and somewhat addictive game. 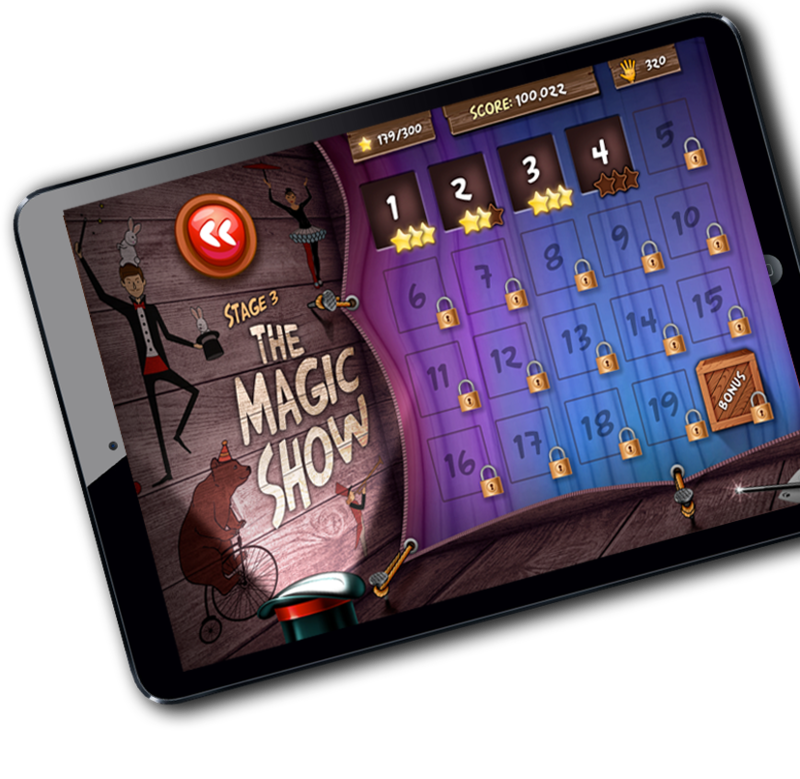 There are great animated scenes and graphics, funny characters, and happy, circus-like music and sounds. New Stages with more awesome levels to be released regularly. We are committed to continually improving the game. Our first rollover will include new stages and more awesome levels bringing the level tally much higher. Now don’t go thinking this game is just another knockoff or clone, it most certainly is not... Drop The Chicken is more about a predetermined strategy. We are happy to help out with any enquiries you might have or we would love any feedback of any kind. We endeavour to reply to all enquiries.